I remember in the past when what every parent wanted was to send their kids to school to become a doctor or a lawyer or an accountant!! Teaching and certainly d-jaying did not feature in the professions they wished for their children ! But all that is different today, thank God! DJ s rake in plenty of money today doing what they do best – spinning those records that keep people on the dance floor! One Dj I had the pleasure of seeing doing what Djs do so well is Dj Cuppy, the daughter of the Nigerian billionaire Femi Otedola. I was simply mesmerized! Seeing her in action was watching a class act- she was so good and what was even more interesting, she looked like she was enjoying what she was doing more than we were enjoying dancing to her scintillating music! If I had more kids I’ll beg one to be a DJ! 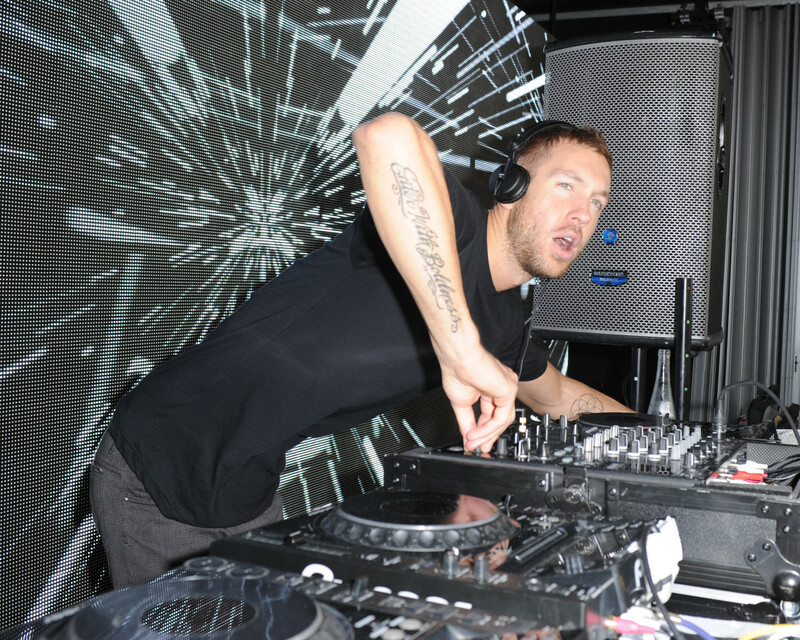 On the surface, it would appear that Calvin Harris has had a rough year. He got into a car accident, parted ways with superstar girlfriend Taylor Swift and saw a $3 million dip in annual income. But it would take much more to knock Harris from his throne: he still pulled in $63 million, making him the highest-paid DJ in the world. For the fourth consecutive year, Harris is the earnings champ of EDM, a genre defined by a swirl of synthesizers, towering vocals and psychedelic light shows. The Scottish DJ, who gets paid more than $400,000 per Vegas gig, has long had his eye on the top spot. “I want to be the number one songwriter-producer guy of all time,” he told FORBES several years ago. Next up on the list are two other Europeans. Dutch-born Tiësto earned $38 million, playing more than 100 gigs in the past 12 months on top of an estimated seven-figure deal with 7-UP. French DJ David Guetta scored the theme song for the Euro 2016 soccer tournament–and $28 million on the year, thanks mostly to his steady gig at Wynn’s Vegas properties. EDM’s broader fortunes, however, may not be as bright as those of the upper echelon of Electronic Cash Kings. The ten top earners collectively pulled in $270.5 million this year (down 1% from a year ago) as they crisscrossed the globe spinning beats and shilling for such products as 7-Up and Tag Heuer. It’s the first year since FORBES began tracking DJ pay in 2012 that the number has gone down year over year.